Yala has clothes I can live in. As a homeschooling mom I still desire to look nice, yet stay comfortable as I work from home. Yala has beautiful clothing with a simplicity that I love. A blend of wonderfully natural fabrics, and inspired by nature type of designs. I reviewed a dress from the new spring/summer line, the Sia Dress. So lightweight for the hot summers, this dress is one of the most comfortable that I have worn. So soft to the touch, classy and light. Simple and sweet, Sia will become a wardrobe staple as the temperatures rise. An Indus inspired floral dress with a beautiful hand-stitched detail at the bust and side seam pockets. Our woven organic cotton voile fabric is so light you’ll live in it all summer long. Pull it on over your swimsuit, dress it up for an evening outdoors, or slip it on and slide into bed. The Sia is extremely versatile and always stylish. 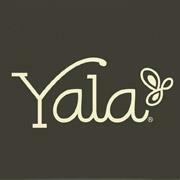 Yala is offering my readers a $50 GC in the Spa for Ma Blog Hop!! Be sure to enter Here! Use Code JUBILEE20 at checkout!! Thanks Yala! All of their clothes look so amazingly comfortable. Especially for the summer,that dress looks as comfy and breezy as pajamas! Good review. I like all their stuff. This is a wonderful view. I love their shop, especially their bedding and bath section! Beautiful dress. I love their clothing pieces. I love that dress! It is very pretty and looks so comfortable. All the outfits from Yala look so comfortable! I can see me wearing them on a nice spring day! I like that Bamboo is sustainable! I also really like their plum colored pillow covers. All of their clothes look so comfortable. Fantastic find. I love the look, the prices are great, and they look like a very comfy option. I love the Bamboo Dreams® Greta Maxi Dress! I am not "into" sustainable clothes, but I think I need to check these out! I like the fact that Yala clothes are from natural fabrics! This is one of the best green companies out there! Love their bamboo products.